**Super SALE on all in stock Pro-Line Boats** Blow Out Price on this 2017 26 Super Sport. Below Cost!!!! A few years back the big buzzword was “performance”. 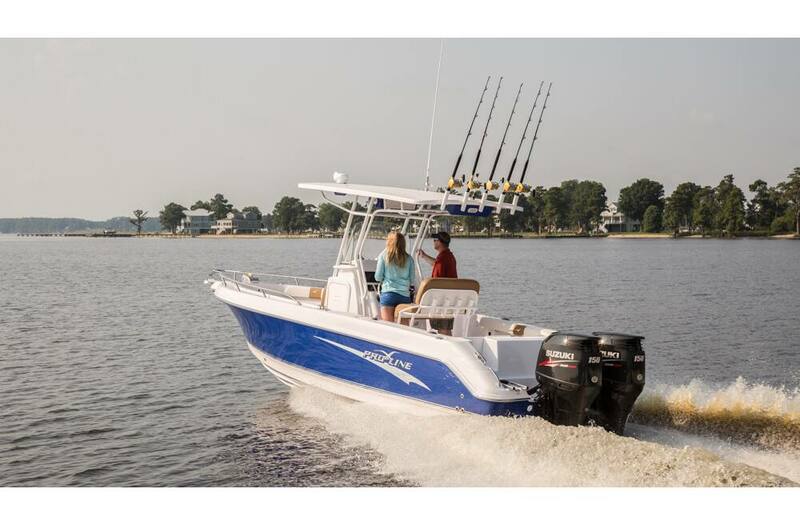 Pro-Line’s design team introduced the Super Sport line of boats, and with Pro-Line’s fishing heritage, the 26 Super Sport delivers on both the fishing features and the performance. The Pro-Line 26 Super Sport. The new generation of center consoles. Comes with twin Mercury 150 Four Stroke motors, hard top, pump-out head, cushion package and color package. **Trailer not included in this price** but is available.